I got an Izzy Stradlin Sweet Child of Mine-video-vibe! It’s pretty far from 100% alike though. Still Noice! Great-looking guitars. I wonder whether anybody here has actually bought a Crimson guitar and can tell us what they think of it? 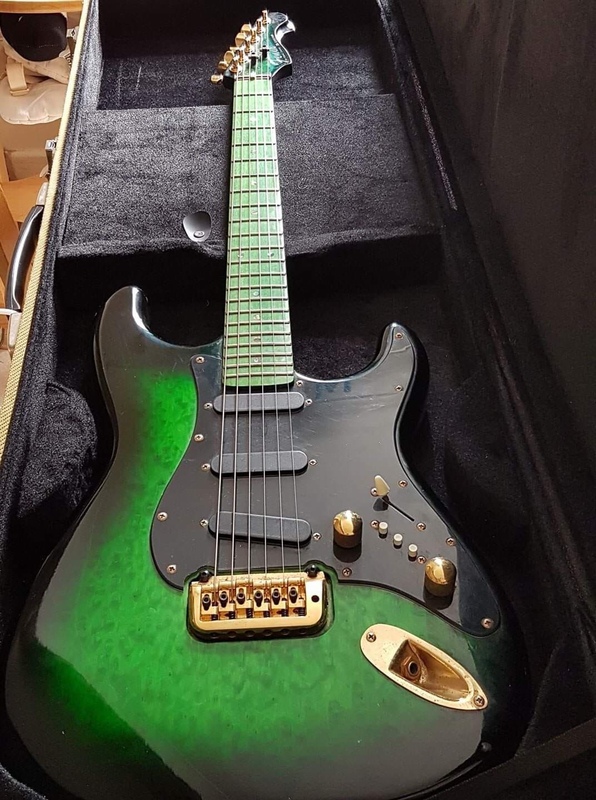 A custom 7-string made for me by the excellent Haydn Williams of Williams Guitars in Cumbria (seriously, his stuff is absolutely top shelf)...I told him I wanted the sort of tone you'd get if Allan Holdsworth joined Morbid Angel and damn if he didn't nail it.